(March 10, 2014 – Toronto, Ontario) Some might say it was a long time coming. 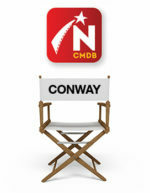 David Cronenberg himself, however, seemed almost uncomfortable; a reluctant hero in a carefully orchestrated pageant designed to honour one of Canada`s most successful and productive directors. That was the scene last night both on stage and later in the media room in behind-the-scenes comments the renowned director made about his Lifetime Achievement Award at the 2014 Canadian Screen Awards. The awards show itself had started off in regular fashion, but as it approached the midway point the scene and energy shifted. From the upbeat celebration of this year`s winners, a slightly more poised and deliberate scene unfolded. It began with a wonderfully edited montage of some of David Cronenberg`s work over the past few decades. Some of the clips that were used, he later admitted, were not in the original films as they dated back to the days of the Ontario Censor Board. In their tribute to Cronenberg, actors Jay Baruchel and Viggo Mortensen spoke frankly about the director`s place in the business. 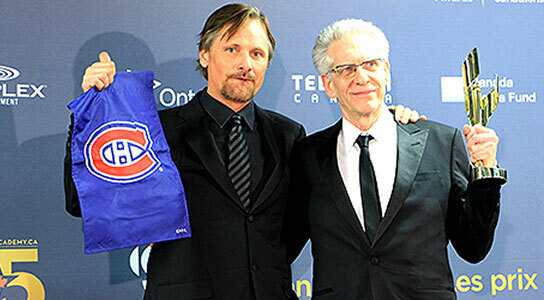 Cronenberg`s award was one of three that had been previously announced. 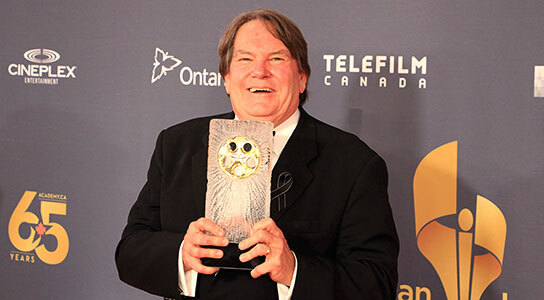 Don Carmody (pictured above) was on hand to pick up his 8th Golden Reel Award, which is given to the film that enjoyed the highest box office take during the previous year. And Emanuel Hoss-Desmarais was given the Claude Jutra Award for Best First Feature Film, Whitewash, which was produced by Luc Déry and Kim McCraw. Click here for a complete list of winners from last night`s Canadian Screen Awards.